It’s hard to believe that it is a decade since Padraig Harrington’s Major breakthrough at Carnoustie. Harrington’s win was a watershed moment for European and Irish golf as the floodgates opened on the Major drought we’d had since the previous European major win, Paul Lawrie in 1999. The entire golfing landscape has totally changed since Harrington got his hands on the Claret Jug for the first time but one thing that remains as consistent as ever is the Stackstown man’s appetite for success. This years’ Open is a special one for Harrington as he returns to Royal Birkdale for the first time since defending the Open in 2008. A spate of recent injuries including a 3 month layoff after having surgery on a trapped nerve in his neck and then his bizarre elbow injury while coaching at a corporate event before the FedEx St Jude Classic on the PGA Tour has meant Harrington has not had the most ideal preparation for his Birkdale return. However, a run of good form in recent events has him upbeat and he certainly believes that he has a chance of contending and winning. Talking to IGM, Harrington recalls how his Royal Birkdale victory in 2008 nearly never happened due to a wrist injury that week. The rest and recovery time throughout the early part of the week left the defending champion feeling fresh and it changed how Harrington would prepare for future events. “I feel I was the freshest guy that week. I remember talking to a friend of mine. I talked to him a couple of times during the week but I remember him saying to me, actually physically saying it to me on Saturday night, “You’re in the best place going into Sunday.” “What do you mean?” I asked him. “I won in Birkdale from the wrong side of the draw too which was something special to do. That first morning was certainly some of the toughest conditions I ever played in. I remember in the afternoon I went back to my house after I shot 74, and I was feeling pretty good about myself and I’m wandering around the house trying to avoid watching the golf, because you never want to be watching everybody else play. But I walked by the TV room and my family were watching it and I just looked in. At that moment, Adam Scott was hitting an iron onto the par 5 fifteenth for his second shot. I hit 3 wood to that hole this morning, I nearly kicked the TV, I was so devastated.” He said laughing ! 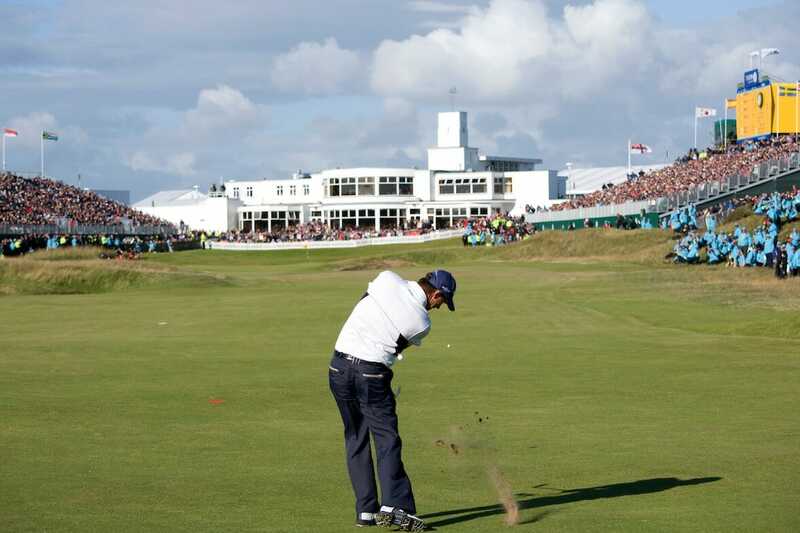 Carnoustie in 2007 was a nail-biting finish that saw Harrington grab victory from the jaws of defeat but going back to defend at Royal Birkdale was a different story altogether. Harrington felt he had something to prove. Harrington remembers every shot from that Sunday on the Liverpool links but one clearly stands out as one of the best of his career. “I actually remember going to the first tee on Sunday morning in 2008 trying to look brave and puff out the chest. If you remember, on the day I played in a t-shirt but it was a pretty cold and windy day. It wasn’t a fashion decision, my jumper was actually too small for me. Every time I moved in it the bottom of my jumper came up and I was wearing a white polo shirt so I keep seeing this bit of white underneath during my swing and I said to Ronan, no, that has to come off and I hadn’t got a spare so I was absolutely freezing,” he said laughing. 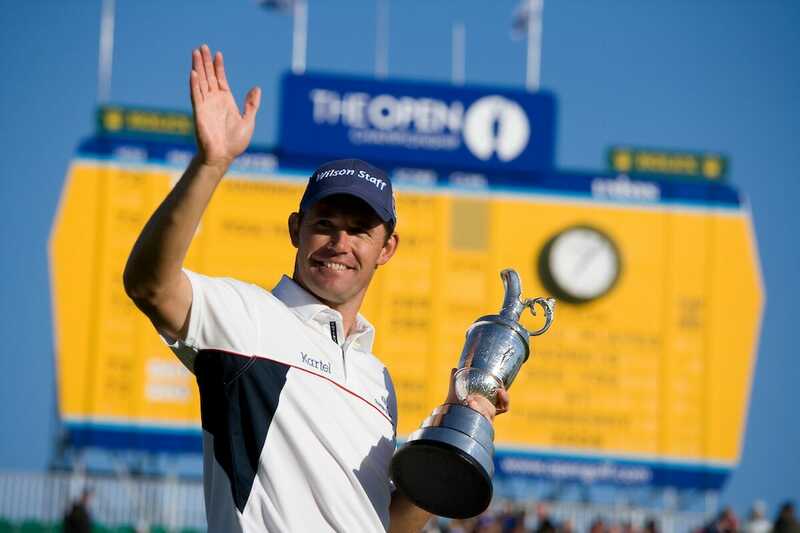 Even with his injury woes of late, make no mistake, when Harrington tees it up at The Open this year he firmly believes he can add a fourth Major Championship to his trophy cabinet.